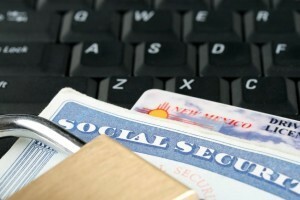 Identity theft crimes have been on the rise in recent years and Arizona prosecutors aggressively pursue such offenses. There are several forms of this offense which go beyond using another’s name to make a purchase. These various offenses are often charged in conjunction with other crimes and will be treated as a felony. If you are an Arizona resident alleged to have committed identity fraud then you are at risk of incarceration and you require legal assistance. Contact our Phoenix defense attorney today to schedule an initial consultation. As with other felony charges, a case for identity theft will begin with the prosecutor either seeking an Indictment through the Grand Jury or filing a criminal complaint in Justice Court. Once the state has permission to proceed then an arraignment will be held. It is crucial that a defendant hire defense counsel who is familiar with the process. Bretton Barber is able to assist Arizona residents who have been charged with identity fraud. Once retained he will immediately begin an investigation into the underlying facts of the case. He will file to exclude any incriminating statements which may have been collected in violation of one’s Miranda rights. He will also explore all viable defense options to ensure that no stone is left unturned. He will stay in regular contact with you, throughout the process and will keep you informed as to the status of your case. A felony charge carries serious consequences and Bretton takes such matters very seriously. Call our criminal defense lawyer today. In addition to Phoenix, our attorney represents defendants in other Maricopa County cities such as Mesa, Glendale, Scottsdale, Chandler, and Gilbert. We also assist Pima County residents in Tucson. The charge of identity theft trafficking means that a person is being accused of selling unauthorized identifying information of other people to a third party. This may include selling driver’s licenses to teenagers under 21, selling passports to those who wish to leave the country, helping a convicted criminal create a new identity, and more. Trafficking is considered a class two felony and is the most severe of the identity theft charges. If you are accused of trafficking you are facing a significant prison sentence and must contact a criminal defense attorney immediately. Contact the Barber Law Group now to schedule an appointment.